Tamil actor Surya of Ghajini fame was seen in a major role in Ram Gopal Varma’s Rakta Charitra 1 and 2. The film made in Telugu, Tamil and Hindi did reasonable business at the box office. But Surya’s performance and that of Vivek Oberoi has been appreciated by both the critics and the audience. RGV is plannning an action film in Hindi and he is said to have asked Surya to play the protagonist in the film and the actor reportedly accepted the offer. 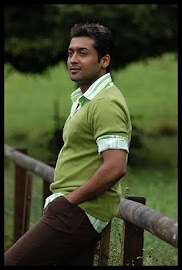 This being a direct Hindi film, it will be the proper venture for launching Surya in Bollywood. RGV is giving finishing touches to to his Sunil-starrer Katha Screenplay Darshakathvam: Appalaraju. Surya is now shooting for the Tamil film 7aum Arivu directed by Muruga Doss. 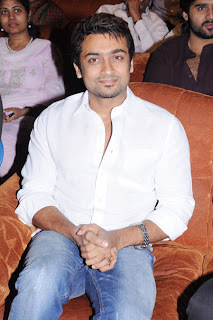 RGV-Surya film is likely to go on floors in March.